Marcus Samuelsson’s recent chefography, Yes, Chef, does more than serve up the usual coming of age story arch that characterizes the genre: child helps grandma cook and falls in love with food, goes to culinary school, slaves away at a series of windowless professional kitchens through the expected hang overs, until he catches a break and makes a name for himself. The book also chronicles Samuelsson’s gradual awakening into race consciousness writ large, a process set against a truly global landscape including stops in Scandinavia, Europe, Africa, Latin America and the United States. The literary merits of this autobiography lie in its thoughtful meditation upon the complex ways race develops as a social construct whose valences differ depending on geography and history. He discusses the effects of the linguistic terms people use to convey derogatory implications about “blackness” as an identity category, scrutinizes his own life when his actions appear to uphold stereotypes about black men, and examines how the attitudes of other kitchen professionals towards him as a person of color convey either institutional racism, active prejudice or some combination of both. As a transnational adoptee (born in Ethiopia and adopted by Swedish parents), and naturalized citizen of the United States, Samuelsson enjoys a degree of objectivity that makes him uniquely qualified to speak about the constructed nature of identity formation in general. This sense of belonging both everywhere and nowhere at once allows Samuelsson the narrator to portray the events in his life as a series of choices or decisions, though not all of these were of his own design, rather than interpreting the same as the inevitable result of either fate or history. This freedom to choose both who to become, and where to live, is made possible through the culinary skills he cultivates and develops over time. In what follows, then, I will pause to consider how Yes, Chef uses examples from the world of food or the kitchen to tackle stereotypes, handle racial slurs, and witness first-hand how people negotiate the experience membership in overlapping communities: diasporic (Habesha, African) and ethnic (African American). With this statement, Samuelsson warns his American reading audience not to impose their own sense of race relations in their national framework upon his very personal experience of growing up in Sweden as part of a mixed race family. In these early pages, Marcus describes his mother as someone attuned to regional and historical particularities, a caring person who wanted each of her three adopted children to grow up knowing something about the heritage they inherited from their birthparents. She used music to connect the kids to these larger communities—Jamaican reggae from Bob Marley for the oldest sister, Anna, and African artists as a nod to Marcus and his sister Linda’s, ties to the continent. For Marcus, his mother’s loving attention to detail affirmed his individuality and his membership in the Samuelsson family unit. Years later, when he confronts the fact that he has fathered a child out of wedlock and chosen not to be an active part of her life, it is his mother’s unwavering commitment to make her granddaughter grow up knowing her family and, thus, her place in the world, that makes Samuelsson believe he can overcome his past neglect and forge a budding relationship with his daughter one day. Samuelsson eventually brings his mother along when he finally travels to meet his daughter in Austria. While there, he cooks for her every day of his stay, drawing upon a combination of the dishes from his own childhood, and the ones which helped him make his name as the chef of Aquavit, the Swedish restaurant in New York. However, this gastronomic display of riches comes at a cost; although he uses his skills as a head chef to impress his daughter, Samuelsson acknowledges that while he was paying his dues in the kitchen he hid all information about her from his employers and acquaintances for fear of the negative impact such information might have had on his career. Samuelsson’s willingness to bare so much of his private life before reading audiences, and to explicitly invoke the experience of double consciousness—his combined fear and awareness of the potential for others to dismiss him as a racial stereotype—in the larger context of his immaturity as a father and his professional ambitions, open up a textual space for rational conversations about race and its implications for interpersonal relationships. By admitting that the stereotype of the absentee black father resonates even with someone who did not grow up in the United States, Samuelsson’s autobiography attests to the global circulation of such rhetorical constructs about race, how they transcend regional boundaries and come to signify in other contexts. When narrating, Samuelsson is at his best as a cultural translator, mediating between his American readers and the Scandinavian, European, and African cast of characters that share his life story. His comments demonstrate the kind of sensitivity and nuance which has surely made him a success in the hospitality business. Unlike Eddie Huang, another chef/owner of a New York restaurant which I discussed in a previous blog, Marcus Samuelsson avoids the easy assumption that the audience shares the prejudice and racism he encountered along the way. His didactic comments are inclusive, rather than antagonistic. Samuelsson’s behind the scenes reminiscences of working inside professional kitchens shed yet more light on the entrenched racism that pervades the world of gastronomy. As the newly promoted chef de partie (senior chef who manages a particular station) of a hotel restaurant in Switzerland, Marcus is thrown back when he hears the head chef use pepper his normal German with the colloquial French term for blacks when discussing how many runners they’ll need to staff a particular banquet. In the basketball/cookie incident of his youth, Marcus had felt hyper-visible since the down side of the popularity of African American sports icons was to reinforce the notion that all men of color should be able to demonstrate their athletic prowess. Here, the situation was the exact opposite. The language the chef used conjured up the idea of blackness but emptied it of all humanity; in this context nègres conveys a person’s lowly rank in the hierarchy of the kitchen staff rather than any particular skill s/he might possess. If the double consciousness Samuelsson experiences as a young chef trying to make it is a nod to W.E. B. DuBois, then this meditation upon the invisibility of black men calls to mind Ralph Ellison’s landmark novel. Because Samuelsson does not merely stop there, but pauses to consider whether the kitchen staff’s indifference to the chef’s reference to nègres might be the first signs of a post-racial future, the memoir foreshadows the key role that President Barack Obama would play later in Samuelsson’s professional development, when the White House chose him to prepare the first state dinner for the Prime Minister of India. I contend that these allusions to literature, politics, and popular culture are not accidental, but the result of careful considerations on Samuelsson’s part. After all, the chef/owner of the Red Rooster Restaurant in Harlem has revived a beloved institution, and remade it in his own inclusive image, as a place where he could “guard the history of black cooks in America while starting new conversations in food” (283). This memoir does more than that; it expands the framework for substantive and necessary discussions of how blackness is performed and constructed around the world, and how those configurations enrich our understanding of the limits of race as an isolated framework through which to understand identity. Within its pages Yes, Chef gives us a glossary of terms through which to understand race and difference, racism and inclusivity, diaspora and nativism. The inclusivity of Samuelsson’s vision of the world as a kitchen—where men and women, straight and gay, culinary school graduates and those who have risen through the ranks due to their hard work and dedication, can cook and eat together as one—is worth sharing. Samuelsson, Marcus. 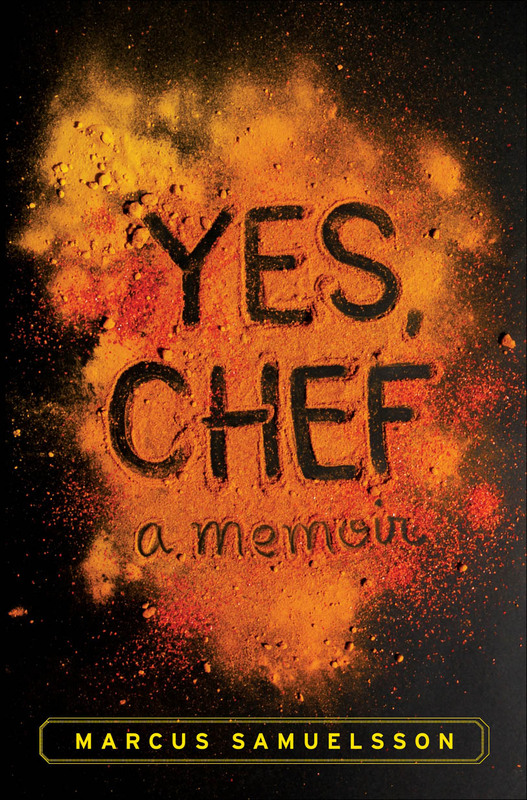 Yes, Chef: A Memoir. New York: Random House, 2012.